We first went to St John a couple of years ago. 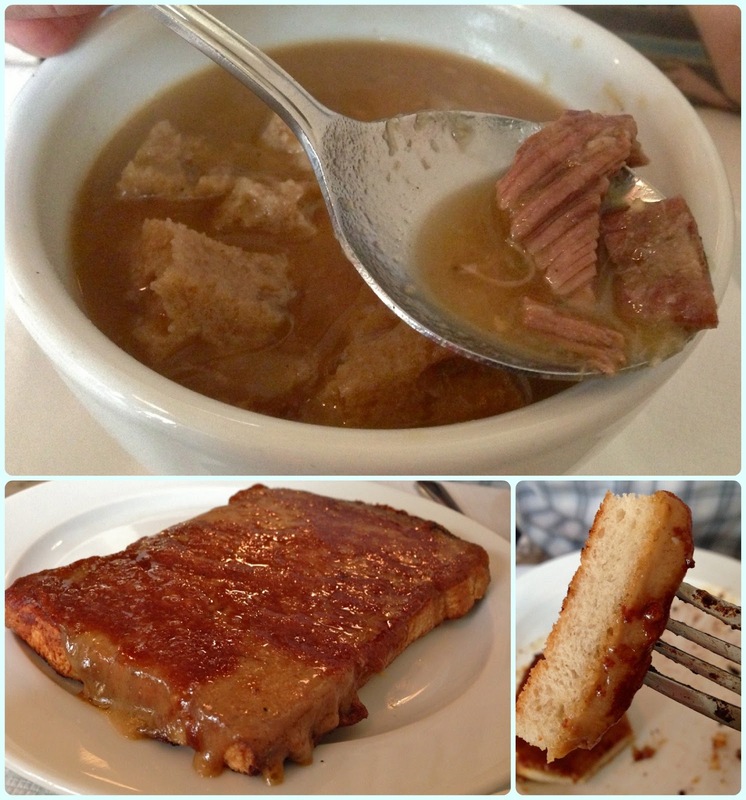 My husband loved it so much we went to their Chinatown restaurant in November, then we returned to Smithfield last week. He likes offal, whereas I despise it, but happily there is always something that suits us both. 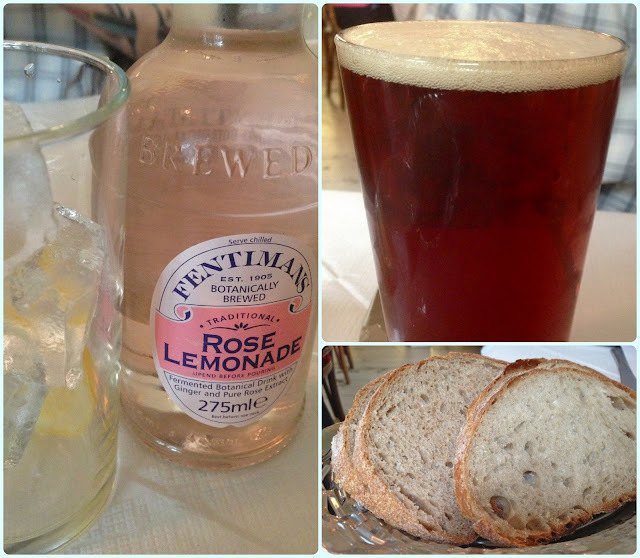 St John's is a relaxed affair, so it's an ideal lunch option if you've just had to travel or don't fancy walking round the shops later all dolled up. Simplicity is key here. Table cloths are white paper, and staff uniforms are plain white overalls. The food is also simple, but never basic. If you catch my drift. There's no faffy presentation, and nothing is there for the sake of it. It's usually a handful of components which are cooked to perfection and allowed to shine. 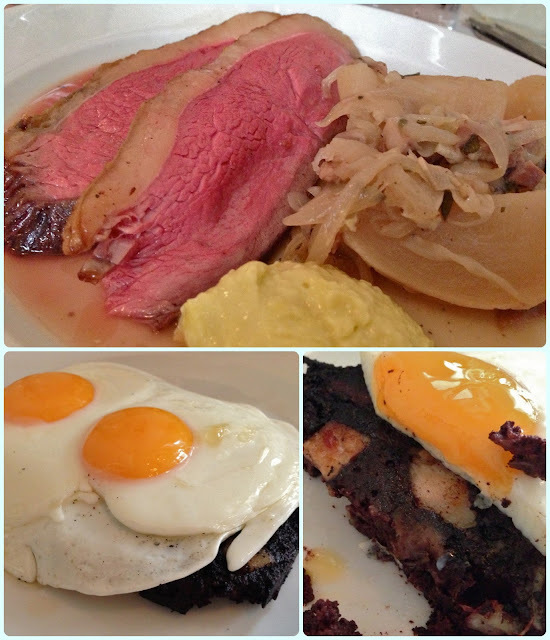 For mains I had the roast beef, turnips and aioli and my husband had the bloodcake and fried egg. The roast beef was beautiful. Really rare with lots of flavour. Paddy's was like a large black pudding. He scoffed the lot. Although St John is probably best known for its carnivorous qualities, I think their strong suit is the dessert menu. I've never had anything which was less than amazing. This time we had the treacle steamed pudding with custard, and the rhubarb jelly with whipped cream. Just look at these pictures! 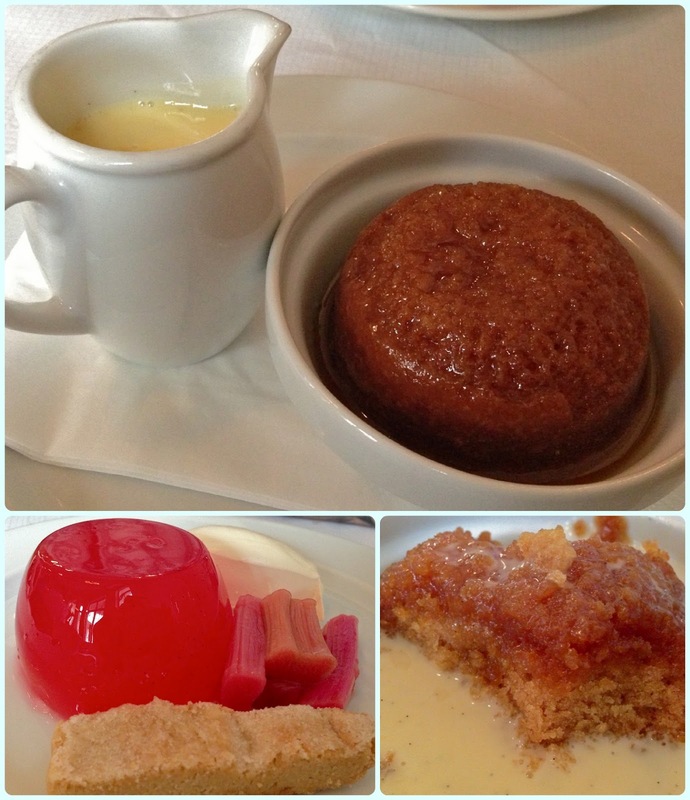 The steamed pudding was divine. Soft, sticky and spicy with hot custard. Mmm! The jelly was equally brilliant. Tangy rhubarb served with crumbly shortbread and thick whipped cream. I had died and gone to dessert heaven!